All businesses need to promote themselves in order to be successful – it is one of the 4Ps of the marketing mix after all – but with so many avenues of promotion available to companies these days how can you really know what method will work for your business? There are some forms of promotion, a presence on social media for example, which you cannot afford to be without; but this does not mean that they are enough. What you have to bear in mind is that things like Facebook and Twitter are free to use and put your company on, so anyone with any sort of basic understanding or drive to succeed will make sure that their business will have a social media presence; it's basically common practice at this point. If something is done by everyone then, whilst it becomes essential, it is also nothing special; therefore extra steps need to be taken to really promote your business and increase brand awareness. This is the reason why personalised pens will work for your business. Using pens as a promotional tool is by no means a new idea, and whilst there are many newer and more gimmicky types of promotional products that may seem more flashy and exciting, there is a reason why promotional pens have withstood the test of time. 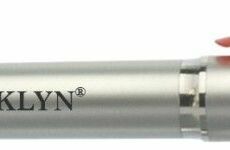 Personalised pens have been so consistently popular because of the amount of promotional criteria that they cover; for instance, you can buy pens in bulk at a very reasonable cost. 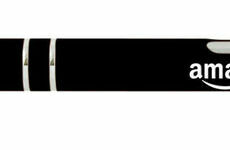 Take one of our best selling pens, the Image Silver Retractable Pen, for example. 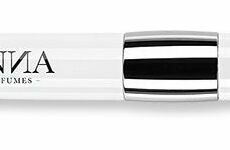 It is an eye-catching, curvy pen with a silver body made from plastic, and 500 units with text printing will only cost you £162 (including VAT). Just think of the reach that 500 printed promotional pens will have, as well as the brand awareness that it would generate. The value for money of personalised pens simply cannot be denied, and whilst it is probably enough to convince most people of their worth, we want to be sure that we have driven our point home; so we are just going to touch upon a couple of more points which ought to prove beyond a shadow of a doubt that personalised pens will work for your business. Usability – Whilst there is something attractive about the thought of a personalised miniature spirit level or wind-up torch, the chances of them being used or even viewed on a regular basis is really quite low. People use pens on an almost daily basis, especially in an office environment, and even when they are not in use, pens are usually left in plain sight sitting on a desk or stood in a pot. Long-Lasting – Continuing on from the last point, even if people do not use pens often, when given one they will rarely just throw them away. They will stow them in a draw, keep it in their top pocket, store them in a desk tidy, or any one of a myriad of things that will keep that personalised pen – and therefore your brand name – in near-constant view of the initial receiver, as well as others who come into contact with them. Easily Distributed – Because of their size and usefulness, people nearly always pick up pens when given the option to, even if they do not need them right away or initially take note of their source. Not every personalised pen is going to directly result in a sale, but it will have a direct impact on the general public's awareness of your business, thereby generating indirect sales. Vast Customisation – Due to their rounded shape pens have a lot of printable area which allow for a good deal of information to be printed on them; including the company logo, name and website. The amount of detail and information that you can include on a personalised pen really is incredibly generous, if you don't believe us just check out our previous blog for some inspirational personalised pen possibilities.